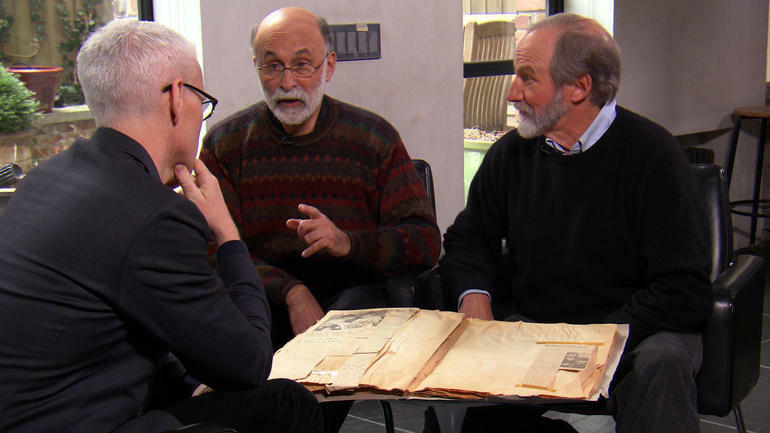 Anderson Cooper had a story on 60 Minutes about The Music Of Zomba Prison. This African band may get its name from the rodent kebabs they sell by the side of the road, but the reach of their music is worldwide. Thousands of listeners from England, Australia, New Zealand and the United States have now heard their songs. The Malawi Mouse Boys record music CBS NEWS Cooper and his team of producers came across the Malawi Mouse Boys while reporting their piece this week about a different group of musicians — inmates and guards inside a maximum-security prison called Zomba. Ian Brennan, an American producer who travels the world looking for new music in unlikely places, recorded an album in Zomba that was nominated for a Grammy this year. The Mouse Boys were a group of musicians Brennan had stumbled upon by accident one day during an earlier trip to Malawi. Five years ago, Brennan and his wife Marilena Delli were driving through Malawi on the lookout for interesting music, were driving through Malawi when they drove past a man sitting alongside the road, strumming a homemade guitar. Brennan and Marilena stopped the car, and asked the man -- named Alfred -- to play. Reluctant at first, eventually Alfred agreed. As soon as he started singing his chorus, a group of nearby children began singing along. Alfred’s song, it turned out, was something of a local hit. Brennan was blown away. Ian Brennan, the band’s producer CBS NEWS Alfred introduced Brennan to his friends, and Brennan knew he’d stumbled upon something special. He asked them if he could record their music, and when the time came to settle on a name for their band, they picked one that seemed only natural: The Malawi Mouse Boys. The name comes from their day jobs: Three of them sell barbecued mice on kebabs along the roadside, providing a traditional snack for passersby. Selling mice kebabs along the road CBS NEWS The group wakes up before dawn every morning to scour the dirt for underground mouse holes. They dig deep into the burrows, catching each mouse with their hands, careful to avoid any venomous black mamba snakes that might be hiding nearby. They grill the mice and spend the rest of the day hawking their product by the side of the road. “It’s a really difficult way to make a living,” Cooper says. Playing music doesn’t pay much better, although Brennan is trying to change that. Brennan has recorded three albums with the Mouse Boys and in 2013, secured a gig for them to perform at WOMAD, an international arts festival in England. It was the first time The Mouse Boys had travelled outside of Malawi, and they sang in their native Chichewa language in front of an audience of more than 10,000. Since then, the Mouse Boys have travelled the world, playing for audiences in Australia, New Zealand, New York, Los Angeles and San Francisco. The band – made up of guitarists Alfred and Nelson, lead singer Zondiwe, and percussionist Joseph – write all their own music. They draw inspiration, they say, from church songs, and religious themes are a fixture of their lyrics. 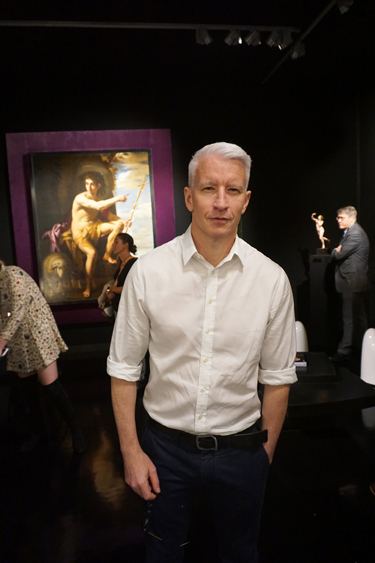 Anderson Cooper anchored an extended two hour edition of AC360 from the NYC studio. Anderson Cooper was on New Day this morning to announce CNN's Top 10 Heroes of 2016 and also gave details on the 10th Anniversary celebration airing Live on December 11, 2016. Anderson Cooper was outside the debate hall in Las Vegas as part of CNN's presidential debate coverage. He started with Wolf Blitzer on The Situation Room and continued on through the post debate coverage.